This seminar will be beneficial for handlers who would like to train their dog as a hunting companion, for handlers wishing to obtain titles on their dog or for the family dog that would love to learn to play field sports. Field sports is for sporting breed dogs that want to do what they were bred for without hunting. 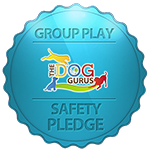 Inga From will deliver a comprehensive, scientifically-based training program that will produce an excellent field companion, without the use of force fetch training or e-collars. Dog behavior is more than just a hobby to Inga; it is a full-time job. Inga is a Certified Dog Behavior Consultant (International Association of Animal Behavior Consultants), a Certified Professional Dog Trainer (Certification Council for Professional Dog Trainers), and a professional member of the Association of Professional Dog Trainers. Inga was a national recipient of the Association of Professional Dog Trainer’s Shelter Staff Award. She had worked in shelter settings for over 10 years. Five of those years were spent at a local humane society where she served as the expert for the shelter in behavior and training. Inga traveled to India to study under John Rogerson – a world renowned dog trainer and behaviorist from the UK. Inga uses positive/motivational training techniques based on the LIMA (Least Invasive Minimally Aversive) principles. Lunch will be included each day!